M S International Inc. is exhibiting at the upcoming Global Tile & Stone Experience at Coverings ’15. Held April 14-17, 2015 at the Orange County Convention Center in Orlando, Florida, MSI will be in booths 5061 & 5064. New product line introductions will include Versailles Porcelain, Palmetto Porcelain, Veneto Porcelain, and the Coastal Sand Mosaic collections. The new and inventiveVersailles Porcelain collection is reminiscent of traditional travertine patterned tiles yet are virtually maintenance-free. For easy design and installation of the pattern, the total repeating pattern (9 square feet), is packaged in a single box. Perfect for indoor and outdoor spaces and available in 5 gorgeous colors from the light and creamy Estate Naturale, the rich tones of Castle Beige, and the airy gray Manoir Grigio. These durable tiles are suitable for a variety of residential and light commercial applications including countertops, walls, backsplashes, and flooring. 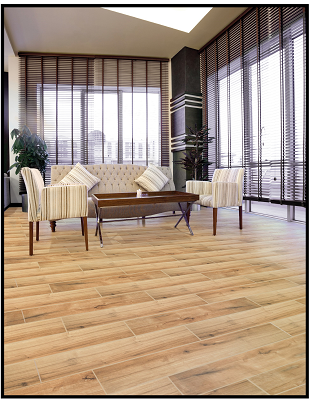 In addition, MSI is pleased to present the new Palmetto Porcelain collection, styled after natural wood, in 6x36 planks. The intricate wood grain is created from the latest in high definition technology, creating the depth and dimension of authentic hardwood floors, without the required maintenance. 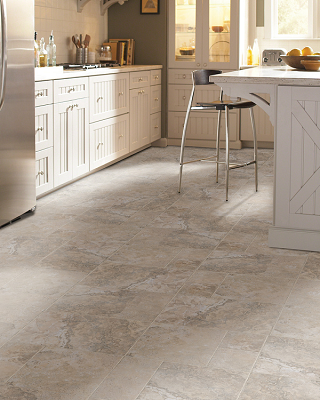 Suitable for a wide array of design projects including walls, flooring, countertops, and backsplashes. Customers can choose from the rich warm tones of Chestnut, the lighter Cognac, or even cool gray tones featured in Fog and Smoke. Classic beauty refined is the best way to describe MSI’s new Veneto Porcelain collection. Large format tiles and vein cut travertine looks are in high demand and this line offers both in the popular 12x24 and oversized 16x32, and 6x24 plank formats, complete with a coordinating 3x24 for ultimate flexibility. The elegant linear pattern of the Veneto collection adds sophisticated dimension, depth and movement to the tiles. Porcelain requires significantly less maintenance than travertine, and with the range of colors available from white to the rich mid tones of Noce, these tiles are designed for long-lasting appeal. Also making its debut at Coverings are 7 new colors of MSI’s Q Premium Natural Quartz line. Available in both 2CM and 3CM slabs, the new additions feature crisp whites, limestone looks, and many greige options including Fossil Taupe, Pearl Gray, and Carrara Grigio. MSI will also be showcasing a new ledger panel display system to help our partners continue to highlight one of the hottest products in design today. Currently, MSI offers over 30 colors of ledger panels and coordinating corners reminiscent of stacked stone. The new display system has plenty of room to expand to ensure that new colors will always have a spot. Visit M S International, Inc. representatives at the Coverings ’15 where over 1,000 exhibitors from around the world will be showcasing the latest in tile and stone innovations. About M S International, Inc. Founded in 1975, MSI is a leading nationwide distributor of flooring,countertop decorative mosaics and wall tile, and hardscaping products. Headquartered in Orange, California, MSI also maintains distribution centers across the United States and Canada. MSIs product line includes natural stone products imported from over 36 countries on six continents. In addition, MSI carries an extensive offering of porcelainceramic, glass and quartz products. The company maintains an inventory of over 125 million square feet. For more information, visit msisurfaces.com.